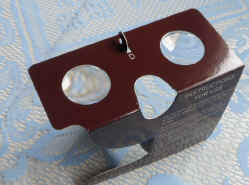 Stereoscope, Holmes type, (Assembled) NEW, Now with 50 free stereocards included! 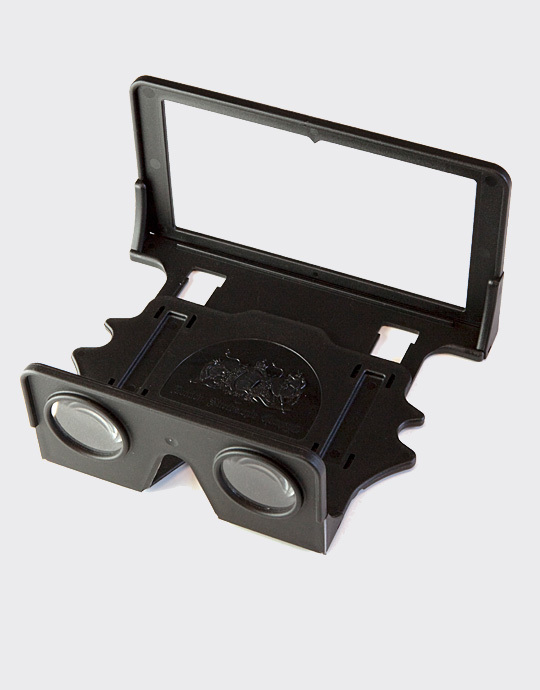 Works with all large smartphones, supports google cardboard apps and won't break the bank! Details! 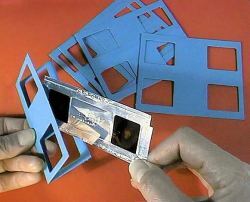 New Vintage aluminum mounts and new foldovers for mounting your Realist Slides! Berezin Stereo is proud to be the sole distributor of these Gunnar brands of designer circularly polarized 3D glasses. They are better than in the box glasses for your passive 3D TVs (Vizio and LG) due to increased sharpness and better light transmission. 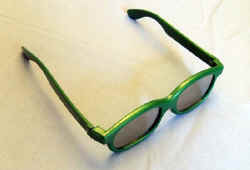 They are also much better quality than the 3D glasses that the RealD 3D cinemas pass out! More Information and ordering for Gunnar Designer 3D Glasses! The CamRgrip is a not only a handy addition for you digital camera it is also useful for many stereo photography applications. It fits on any tripod mount including the twin bars that we offer. Used in conjunction with the twin bar that we offer and compact digital video cameras it can be used as part of an inexpensive stereo rig. It also works well with our 3D Scope and Pocket3DVu as a handy holder to allow for easier handling. 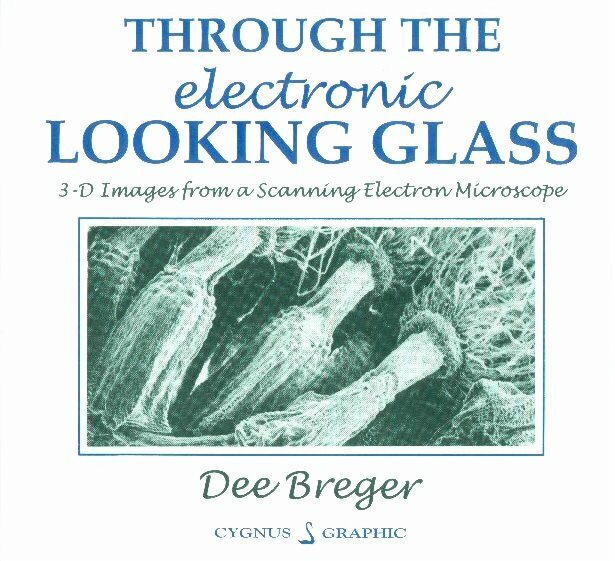 AMONG THE MOST FASCINATING pictures you�ll ever see in 3-D are those produced by scanning electron microscopes, or "SEMs"! 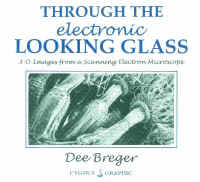 These instruments, which use electrons rather than light to create images, are capable of magnification and resolution far beyond that possible with optical (or "light") microscopes, and the images they produce give you entirely different, amazing, and often very surprising views of even the most ordinary everyday objects. The addition of the third dimension to SEM views makes them even more spectacular, since you can actually see the spatial relationships in the images that you could only imagine in "flat" 2-D images. Hi our new Pocket 3Dvu has everything you need to view parallel 3D images. 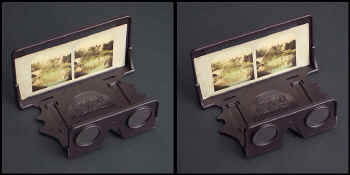 From 3D Keystone type stereocards (3 1/2" x 7"), tablets, computer screens to large TV displays can be viewed in stunning 3D with this viewer. Using front surface mirrors, an adjustable aspect ratio control and a mirror distance adjuster images can be viewed from a distance of around 6 inches to 14 feet. This viewer is great for tablets and monitors of any size! The front non-reflective glass pieces can be removed for easy cleaning and the temples are removable so the viewer can be worn like glasses or held like conventional 3d viewers. The bottom has a fitting for a standard 1/4-20 tripod fitting so it can be used for museum displays. More information. Frank Gehry: 3 Theaters features three of Gehry's performance venues that illustrate the startling evolution of the Canadian-American architect's work in the 21st century. 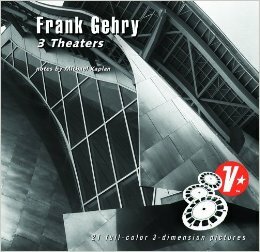 Three View-Master reels contain 21 stereoscopic 3D images of the Walt Disney Concert Hall (Los Angeles), the Jay Pritzker Pavilion at Millennium Park (Chicago) and the Sosnoff Theater at Bard College (Annandale-on-Hudson, New York). These glasses use the natural refraction of water to create a cross-eyed viewer for 3D! 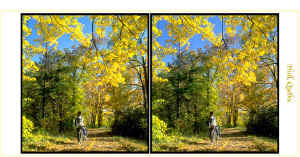 They are adjustable and work for cross-eyed 3d images (some are included in the package). This is a fun viewer sure to increase children's interest in 3D and to help them understand refraction, similar to seeing a straw change direction when looking at a glass of drinking water. More information. Thanks to the way calendars repeat this is now in date again for 2014! 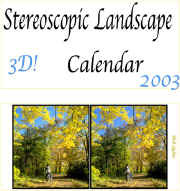 2003 3D Calendar! Stop! Do not buy that boring, regular, 2D calendar for last year. Why? 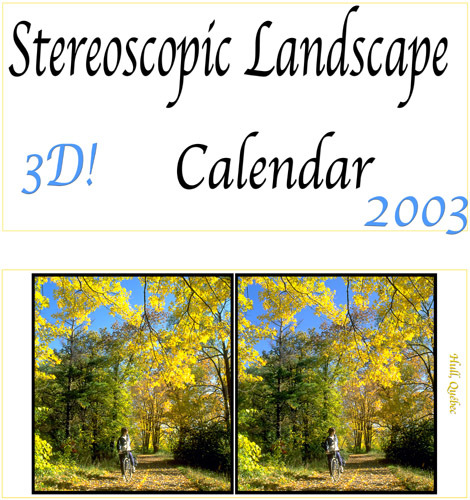 Because you can now get a 2003 3D calendar complete with 13 full color, full size stereo photographs by renowned 3D photographer Dale Walsh. 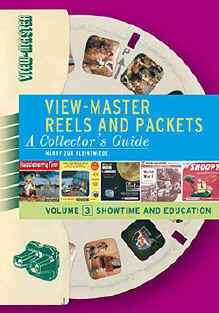 You can cut the views out and use them in your stereoviewer. Sure its out of date, but it will be perfect for 2014! Its worth the purchase price for the views alone! Thanks to the way calendars repeat this is now in date again for 2014! Hummel Children in 3D Back in Stock! 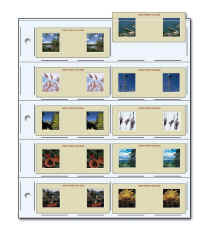 New low Prices on stereo slide pages! New Owl Viewer released. Designed to be compatible with the Ipad. The OWL, designed by Queen Guitarist Brian May, is a unique, high quality, stereo focusing viewer, which packs into a space only 1/3 inch thick, yet assembles in 15 seconds into a rigid precision instrument which is equally at home sitting on a page to view stereo illustrations in a book, or used in the hand as the perfect viewer for stereo cards - classic or modern. It has extra large lenses so anyone can use it regardless of eye spacing. It has a slot to hold views in the viewer or since the back has an opening it can be placed over a stereo image in a book for high quality viewing. Buy a ScreenScope CRT, ScreenScope LCD or a ScreenScope Laptop (at our already low price of $249.95) and receive a free Screenscope non-adjustable handheld for free! This is good for the month of December 2012 ONLY so act fast (a $99 value!). Be sure to add this to your shopping cart by hitting the buy button below! Order the other scopes here. SSS Free Screensope Handheld Non-Adjustable with the purchase of a ScreenScope CRT, ScreenScope LCD or a ScreenScope Laptop. Offer Good Only Aug 2013 while supplies last! The Pixi Viewer is back! 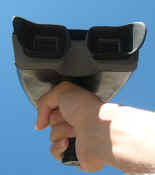 The Pixi Viewer is an inexpensive hands free viewer which works great viewing side by sides on a computer monitor. It is back and in stock! Don't miss us at 3d-Con this year! Please see 3d-con.com. July 24-30 in Costa Mesa. 3D Vidcam now $249! Video play & display, 2.2� QVGA stereo TFT LCD or VGA binocular stereo display module, play & display 2D/3D video file in AVI form. This camera is standard definition and suitable for web use. This entertaining feature on Watt's towers will work with new 3D TV sets! 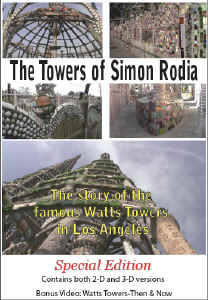 In this award winning documentary, filmed in high definition digital 3-D, you will discover the Towers in loving detail and you�ll be able to experience the magic, the wonder, and the genius that resides inside The Towers of Simon Rodia. These leave less of a footprint as the other glass Real D glasses. They are made from renewable, sustainable resources, not from petroleum fossil fuels. Small Card Viewer, views prints, cards, medium format slides and Parallel images on the Ipod and Iphone. It can also fold flat for easy mailing. Similar to our stand-up stereo-opticon viewer, this little viewer has a shorter focal length and better lenses making it perfect for smaller printed images and for using with an Ipod or other small device. It also works well with small printed pairs. It can also fold flat for easy mailing. Toe-In Mounts now in stock! Our much coveted Jasper toe in mounts are back in stock. Now you can shoot 3D like they did in Avatar, with convergence. 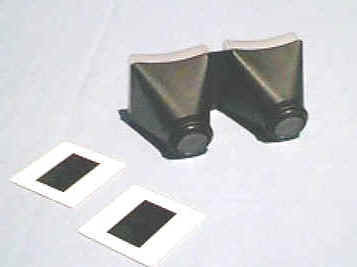 Used with camera pairs they can glide your cameras with precision. More info. The most affordable achromatic 2 x 2 viewer. 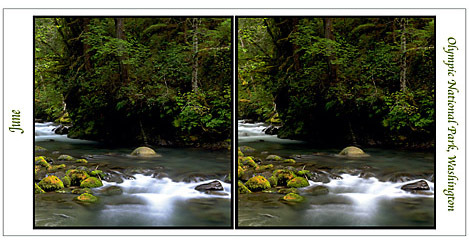 This viewer combines sharp optics with interocular adjustment in an affordable format. 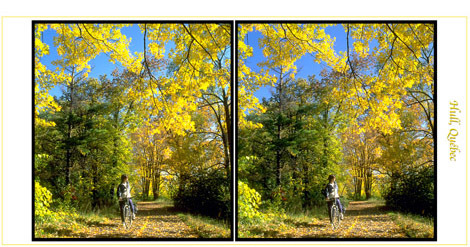 Interocular adjustment allows the user to adjust the spacing between the lenses. It is the famous PinSharp� viewer with 47mm FL glass achromatic lenses inserted. An Achromatic lens is a system of lenses joined in order to minimize color and shape distortions (chromatic and spherical aberrations) that are inherent in a single lens system. More information. This 3D DVD will work with new 3D TVs, along with any TV which requires interlaced format. It comes with a 2D version, a 3D side by side version and an interlaced version.